We were lucky enough to have a guest in the room with us for the first half our first session. Ali Olhausen has been interning at Theatre Deli as part of her BA course at University of Georgia and asked if she could come see what we were up to. Unfortunately she heads back to the US next week, but it was lovely to have Ali come and contribute to our inaugural devising session. Lying smiling on its fathers knee. And green grass growin’ over me. We agreed to work on “I Wish My Baby It Was Born” further. Whether it will become part of our final piece or just part of our process? We’re open minded at this point. After some nerdy discussion about our subject matter, we moved onto some hot seating of our characters. The responses during this exercise were incredibly interesting and very personal. These won’t be shared here at this time, but I could definitely see some of the text we generate for the piece come out of hot seating work. With some really excellent work under our belts, we took a break for lunch. At this point we said goodbye to Ali and Fran proposed we use our solitude for some intimate relationship building exercises. An exercise we’d been taught at East 15 was to set a timer for 15 minutes to examine the other’s hand in every detail; the size, the shape, the veins, the scars, the feel, the weight, compared to our own hands etc. It’s a useful way of relationship building and one that seemed useful to our needs. Another nerdy discussion was had, this time about MWG’s stepmother: Mary Jane Clairmont. 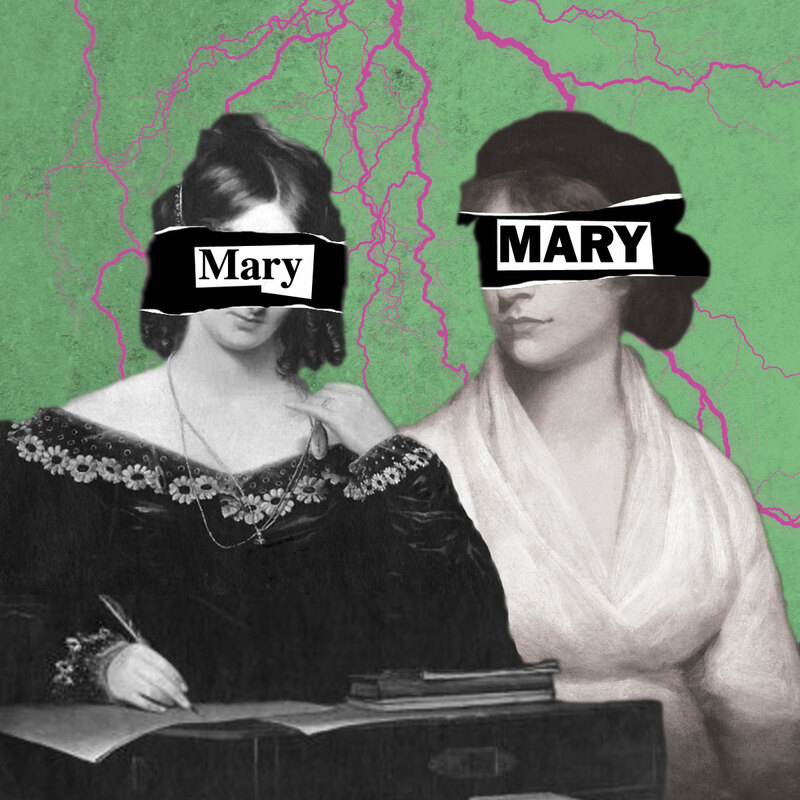 In many versions of the Godwin family story, Mary Jane Clairmont is vilified. However, Clairmont and Godwin stayed together until his death and although it is likely she frequently lied about her life, there is compelling evidence to say she had her merits. For example, she was a keen businesswoman, setting up a publishing company to publish Godwin’s books, and somewhat acting as Godwin’s agent/manager. She also brought up two of her own children without their fathers, as well as helping Godwin to bring up MW’s two daughters: MWG and Fanny Imlay. We then moved on to a new exercise: “I got you a present”. Fran found this game to bring to rehearsals and the game involves one person giving another a box (real or imaginary) with an imaginary gift in which they tell the other about. This provokes a reaction and discussion and in the end, the recipient of the box can either take the box or give it back. After playing the game a few times as ourselves, we moved on to playing in character. We played out the game as MWG and Mary Jane Clairmont giving each other gifts. Again, I feel revealing too much about the results of this is not what I want to do at this stage, but this game definitely revealed a complex relationship between the two characters, and perhaps some reasons why Clairmont can be so vilified by history. I read an extract of A Vindication of the Rights of Woman: the first few paragraphs of a chapter entitled “The effect which an early association of ideas has upon a character” which again, seemed very appropriate considering this was our first devising session and was mainly focused on developing our characters. However this chapter instead discusses MW’s possible theories why women seem so different in nature to men: because young boys and girls were (and still are) associated with particular ideas about what it is to be male and female from a young age, which effects their development. So lots to take away from our first rehearsal and lots of work to be done before we next meet up. We have provisionally put 1st July in our diaries for our next session.